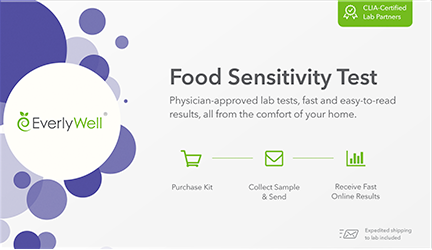 with 30+ at-home kits — from fertility to food sensitivity tests — ordered by you. 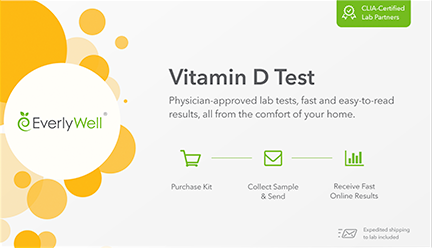 Our tests offer simple sample collection, free shipping, and physician-reviewed results and insights sent to your device in just days. Lab Testing Made Easy. Results You Can Understand. A Warm Welcome to the EverlyWell Community! Collect your sample from home and on your own time. Test results come from CLIA-certified labs and are reviewed by an independent physician. Our results break down exactly what your test results mean and how they may affect your health. We also provide actionable insights into how to improve or maintain your levels. As a result of my EverlyWell food sensitivity test results, I have been dairy free for 6 months and it has completely changed my life. No more stomach issues, migraines, eczema, stuffed sinuses, heartburn/acid reflux, horrific periods...I went from taking 4 daily preventative medicines (that weren’t working at all) and 3 reactive medicines to taking nothing. I take nothing! And I have had 3 migraines in 6 months vs 4-5 a month. Life changing. My test kit was one of the best pieces of technical writing and product packaging that I have ever seen. If you can read, you can complete the test. It was easy to administer, easy to ship, with the shipping label included in the box. Tracking was super. I received texts to let me know where the kit was in transit. Results were easy to access, easy to save as a PDF, easy to share, and easy to print. Moreover, results were more accurate than a device with strips, and I could administer the test in the comfort of my own home, without having to drive far or out of my way to a lab, wait in a crowded waiting room, or contend with people’s sneezing and coughing or bad attitudes. I loved it! 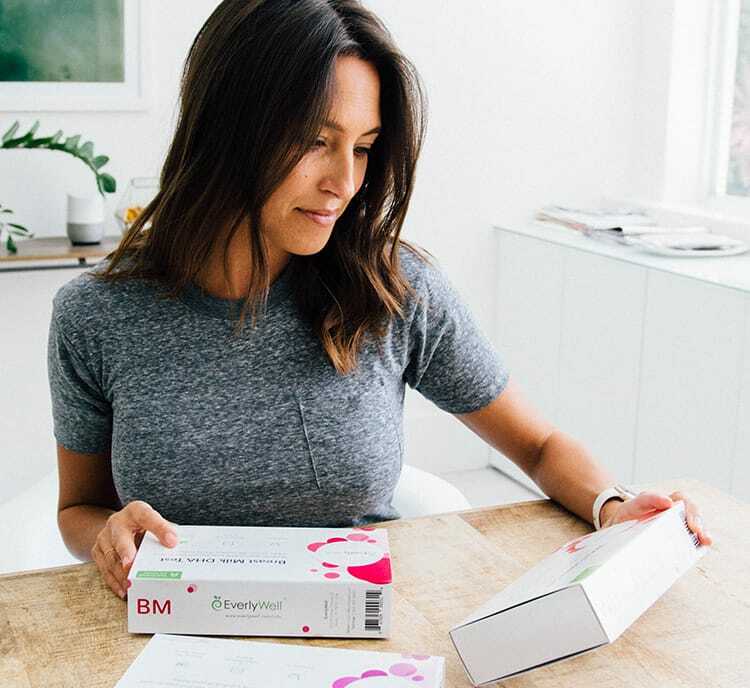 I’ve been struggling with several issues (brain fog, always tired, cystic acne, mood swings, hair loss, poor sleep, cold extremities) and this gave me insight to what was going on with my thyroid and hormones. Come to find out, my thyroid is fine but a couple of my hormones are off. Now I can hone in and work on balancing my hormones. I finally feel like I have a clear direction instead of thinking it’s everything that’s off. Thanks EverlyWell! Here are a few common questions asked by our community. dedicated customer support team will help you find an answer. EverlyWell tests are currently available to residents in 46 U.S. states. We currently do not offer tests to residents of the following states: New York, New Jersey, Maryland and Rhode Island. This is due to each state having different medical regulations and we hope to expand in the future. No, you should not discontinue any of your current medications or supplements. Instead make sure to include your medication and supplement history in any questionnaires that may be included in your test kit. Please note that some test kits do not have questionnaires therefore medication history is not needed for those tests. If you have questions about a specific medication, please email [email protected] and we'll gladly answer any questions. Is the Food Sensitivity test suitable for children? At this time, we do not currently offer testing to minors because we aren't able to irrefutably validate the guardianship of that minor. EverlyWell and our Physician Network take those matters very seriously and as a result of it not being possible for us to confidently verify that guardianship, we cannot offer our testing for anyone under the age of 18.